An open source control panel allows you to administer your VPS (Virtual Private Servers) gracefully and add some individual functionality to them. So, going into server administration raises important questions about the best open source control panels you can choose from. As there are plenty of choices, in this article Hostens team member Regina’s going to overview a few by comparing them with each other. Server control panel is a software with specialized graphical interface for administrating your server. A GUI control panel takes away much of the complexity of server administration and makes it a straightforward task. You can create e-mails, FTP accounts, and databases, add domains, check various logs, and many other things just logged into your control panel via a web browser. It simplifies server administration functions as ordinary users without high-level technical knowledge can manage their servers. VestaCP is one of the newest and fastest open source control panels for VPS available. It is mostly popular for its lightweight design, which makes it pretty simple to use even for the first time. VestaCP runs on Apache and Nginx. It makes it easy to create a database, add a domain, an SSL, and use the backup function. Built-in features include “Let’s Encrypt”, firewall, cron jobs, multiple language options, and many other. Webmin is also one of the most popular VPS control panels. One of the main reasons for using it is great unique configuration opportunities. This control panel is designed to manage Linux systems with web browsers instead of commands by integrating Virtualmin. Webmin/Virtualmin is mobile friendly, so you’re able to do everything, from restarting services to creating new mailboxes, in just a few taps on your phone. However, because of the old interface it takes a while learning to use it. Built-in features include a file manager, a “Let’s Encrypt” integration, a firewall, backup and restoration, and many more. 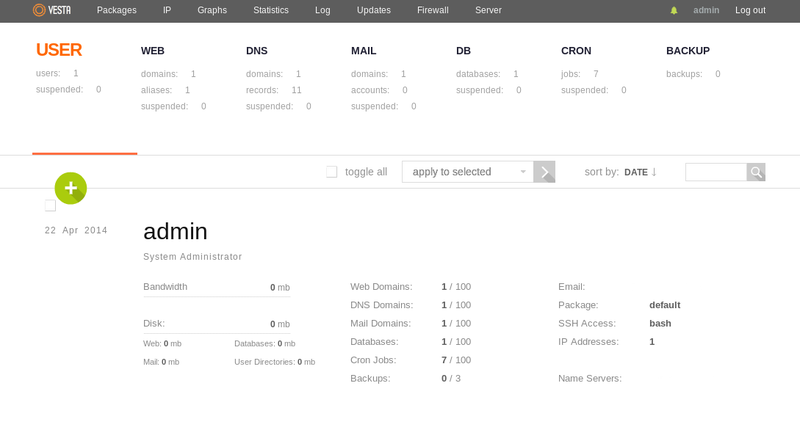 ISPConfig is an open source hosting control panel for Linux, licensed under the BSD license. ISPConfig allows administrators to manage websites, e-mail addresses, and DNS records through a web-based interface. The software has 4 login levels: administrator, reseller, client, and e-mail user. Built-in features include a file manager, a firewall, cron jobs, multiple language support, and so on. 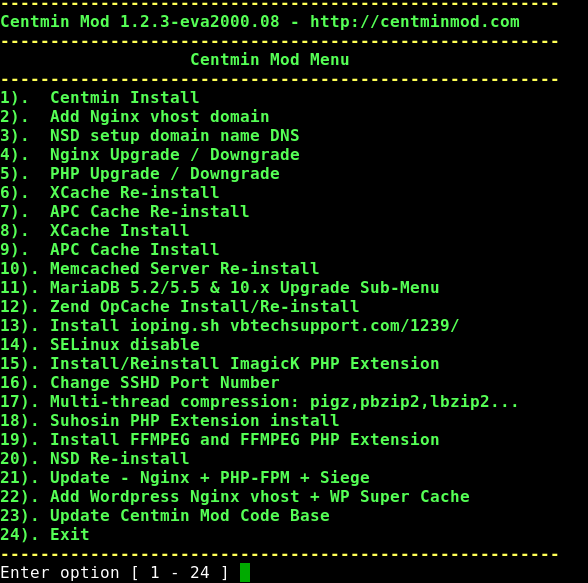 Centmin Mod is a shell-based control panel for CentOS operating system with LEMP Stack install. It was intended for a single root user/administrator to manage multiple or single web sites on a VPS or a dedicated server. Centmin Mod LEMP web stack has an auto installer that takes the manual work out of the process and fully automates most of installation, configuration, base optimization, and the best recommended practices and settings for CentOS, Nginx, MariaDB MySQL, PHP, CSF Firewall security, and other software installed. The whole process is done via the core centmin.sh shell-based script which can install Centmin Mod via a curl one-liner install method. However, Centmin Mod does not have a web GUI panel, but rather allows the admin to manage their server on the SSH command line with added convenience of a shell-based menu for frequently performed tasks. To sum up, there are plenty of choices. So, choosing the right control panel for your VPS is definitely not an easy task. The best way is to try them all. Yet, if you have little time, you must consider what the main purpose of your VPS is. If it’s having an easy-to-use graphical interface, then VestaCP is the right choice for you. Webmin/Virtualmin is best for an individual configuration of your VPS while avoiding the command line in all possible cases. If you’re looking for reselling, ISPConfig is one of the great choices available. Finally, if you need to host only a few websites on your VPS and you are tired of the GUI eating up your server resources, then choose Centmin Mod control panel.